Serie A transfer news latest. Chinese giants Shanghai SIPG are set to launch a big offer for Juventus defender Dani Alves, according to SkySports. 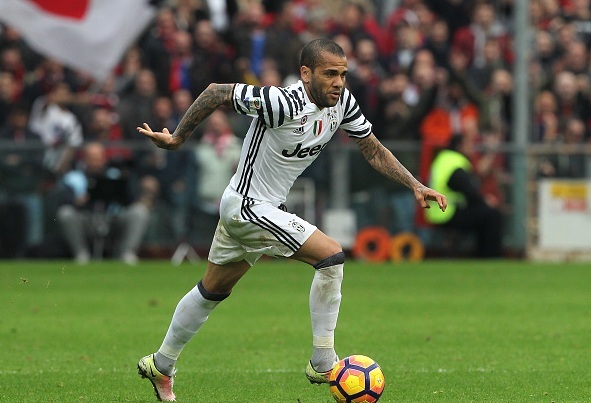 Chinese giants Shanghai SIPG are set to launch a big offer for Juventus defender Dani Alves, according to SkySports. Former Barcelona full-back Dani Alves has been reportedly offered a big money from the Chinese Super League side Shanghai SIPG. The Brazilian who joined the Italian side on a free deal last summer could be on his way out to China. The 33-year-old moved to Turin after playing eight successful season in La Liga at the Camp Nou. Brazilian duo Hulk and Oscar are already at Shanghai, Alves could join his country mates. Alves is likely to reject the offer as eyes to win a Serie A title after winning several La Liga and Champions League trophies. He may be moving in the summer. The Chinese club are growing day by day, they have already made some great signings. Oscar joined earlier this month on a £500,000 a week contract which makes him one of the highest paid footballer. Former Premier League striker Carlos Tevez is currently earning around £610,000 a week at Shanghai Shenhua, the highest paid player at the moment. Several Chinese sides have also eyed former Arsenal striker Olivier Giroud and Chelsea Diego Costa. However, China's Football Association recently announced that no club can have more than three foreign players.